I have been helping out several groups who want to do cheap, quick genome projects on previously "unsequenced" eukaryotic organisms. In terms of the genetic diversity of living things, at this point we have sampled very unevenly across taxonomic domains. 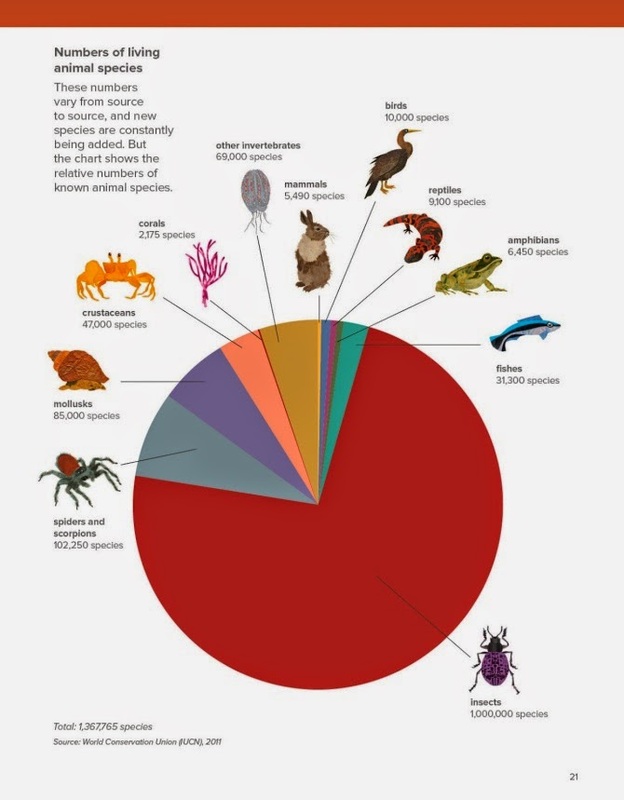 Insects are particularly underrepresented in the whole genome database. According to the number of named species, insects represent over 80% of animal species. The NCBI has over 10,000 whole genome projects, but only 132 insects (and 36 of those are Drosophila species). So there is certainly taxonomic room to knock out some more insect genomes and discover interesting new stuff. A wide variety of valid arguments can be made for the usefulness of sequencing any number of as yet overlooked organisms in all taxonomic domains. NOTE ONE: Collect both genomic and RNA sequence data. These two data types are extremely complementary. Many earlier de novo genome projects built on collections of existing EST sequence data, which was the poor man's approach to draft genomes in the previous decade. The ESTs provided seeds for gene finding on the genomic DNA, training of gene-finding algorithms, etc. Now we can get a comprehensive genome wide set of RNA-seq data for the cost of one lane on a HiSeq machine and a sample prep kit. If you have the choice, get 100 bp paired-end sequencing of the RNA, it will map better and end up giving more value for the dollar. It might be possible to use paired-end RNA to bridge DNA contigs into scaffolds - as far as I know, this is an untested area. It would be very helpful to have a normalized RNA library, to get more coverage of poorly expressed genes – this is on my wish list for future Cheap-O Genome projects. NOTE TWO: More data is good. High total genome coverage is good, but long insert paired-end DNA libraries build better genome contigs. This makes complete sense. 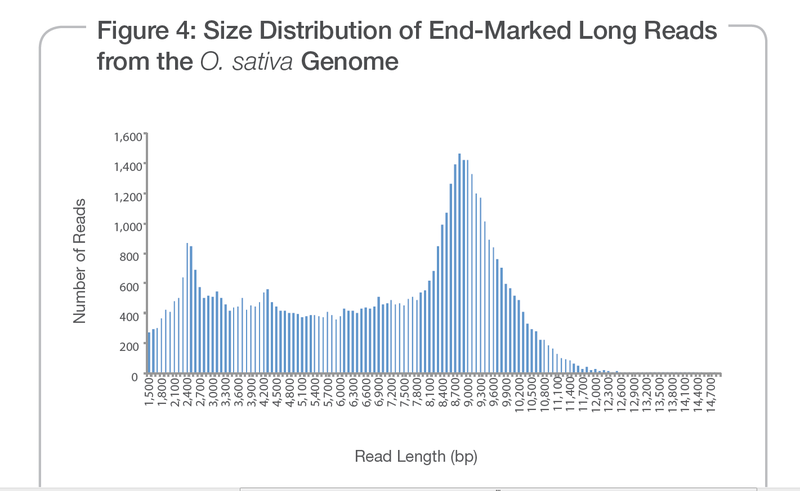 Early "shotgun" genome projects relied on sequencing the ends of clones from libraries with various size inserts. It would be really nice to have 10 or 20 KB insert libraries, or "mate pair" sequences that come from the junctions of large genomic fragments that have been circularized, but these are generally not available when your entire sequencing budget is in the single digit thousands of dollars. We were able to get a 550 bp insert library for a recent project and it led to an assembly with an N50 > 40 KB. Pretty good for two lanes of HiSeq data. For our next cheap genome, we are using the Illumina TruSeq Synthetic Long-Read kit (which is based on technology developed by Moleculo). This is a really clever idea: first it breaks the genome into ~10 KB fragments and sorts the fragments into wells of a 384 well plate. Just a few dozen to a few hundred fragments in each well. The fragments in each well are clonally amplified (sort of like 454 technology), then sheared into the normal size range for Illumina sequencing (300-500 bp) and tagged with barcode primers at the ends. Then all the tagged fragments are pooled and sequenced normally on a HiSeq machine. Illumina has a custom assembly app (built in BaseSpace) that demultiplexs the data and does separate de novo assembly on each barcode set – so it is just assembling the small number of 10 KB fragments from one well. The final output is a set of "synthetic long reads" that really do seem to be 10 kb long. NOTE THREE: I like the SOAPdenovo assembler (127-kmer) for Illumina DNA sequence data. It did a good job for us on several different species with only a moderate consumption of computing resources (an overnight job on 32 processors with shared 128 GB of RAM). The final product is a set of contigs in FASTA format, some quite big, and a lot of little ones. Hopefully the sum of the contigs comes out to something similar to the expected genome size of the organism. The quite new SOAPdenovo-Trans assembler for RNA-seq also worked quite well for us – at least in comparison to Trinity which is a huge computer hog. Ok, so here is my gene finding workflow for the Cheap-O Genome Project. De novo gene finding on the DNA contigs with GeneScan or GeneMark (I used GeneMark). Use the extremely useful psl_to_bed_best_score.pl script written by Dave Tang (https://gist.github.com/davetang/7314846) to convert the output of BLAT (in .psl format) into a .bed file, choosing only the best match for each query. Without this sorting and conversion, the BLAT results as a PSL file look like garbage in a genome browser. OK, now assemble all 5 data sets into one nice visualization using IGV or GBrowse. We have a genome track (the DNA contigs from SOAPdenovo in FASTA format), an RNA track (the RNA-seq reads aligned to the draft genome in BAM format), a gene prediction track (GeneMark GTF file), the Cufflinks transcripts (transcripts.gtf), and the RNA assemblies (from SOAPdenovo-Trans) as a BED file. For some genes, all of the data agree quite nicely. For other genes, it's guess your best. Here are two IGV screenshots of examples from the same genome contig. The first is a nice gene with plenty of RNA where all 3 annotation methods agree. The second is a messy region where no gene model makes much sense, none of the methods agree at all, but there seems to be enough RNA (and spliced alignments!) to suggest real transcription is happening. Time to add some reference data by homology modeling (in my next post on annotation). A very nice post Stuart. If you'd like a simple PE125 Illumina dataset ona small genome then these could be knocked up by an enterprising grad student from DNA and RNA and combined. Send these out to people willing fill the odd empty lane and hey presto: cheapo genomes.